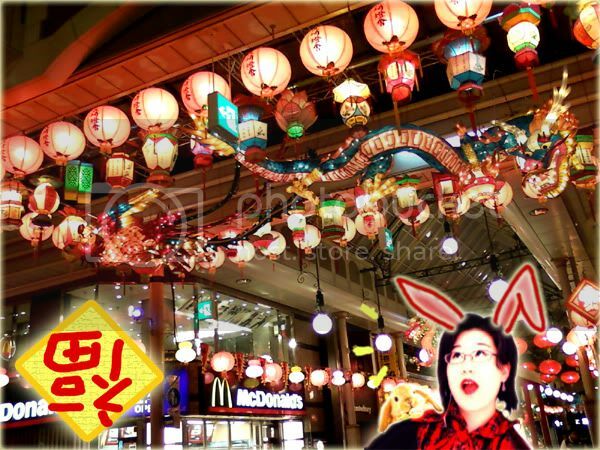 11:32 pm - Happy Chinese New Year from brightly lit Nagasaki~! Happy Chinese New Year everyone~!! The year of the tiger has come and gone and today we welcomed the year of the rabbit!! As with last year, Nagasaki welcomes this joyous occasion with their annual Lantern Festival and the shopping arcade that my school is located in lit up tonight with hundreds of lanterns from the traditional red ones to giant ones that took the shape of dragons, phoenixes, and characters from Chinese folklores, history, and mythologies. It's kind of strange but I think this may be one of the times when I've missed being in Canada the most. When I was in Canada during Chinese New Year (or any other Chinese festival like the Moon Festival, but New Year's the biggest celebration) I'd spend it with my Chinese friends, and we'd all gather together eating traditional food like dumplings and just enjoying being together; the closest we have to family away from our families. The Chinese Students Association at the university would also have celebrations, gathering the members together and all the people really make the atmosphere seem like the celebration I remember it to be. Happy new year of the Rabbit/Cat. ;Db Hope you had a good one. Here though I don't have anyone else who's Chinese and who I can celebrate with. I mean my co-workers and students will say "happy new year!" to me but since none of them actually really celebrate it it's not quite the same thing. can you please upload this again??? Please..